This is the time that we often look back at all that’s happened over the year and look forward to the next. We’ve had a lot of adventures in 2018. Early in the year we had the amazing experience of being Artists in Residence at the Banff Centre for the Arts. While staying there we had access to all the percussion equipment we could need, a studio just for us, fitness facilities, nature all around us and the food, oh the food! It was such an inspiring experience and we met wonderful artists and musicians while there that continue to inspire and support us. In March we performed our concert Woodcuts in Saskatoon and then headed over to Windsor, ON to perform at Melissa’s Alma Mater the University of Windsor for their Alumni Concert. There we performed Shelley Marwood’s piece Dialogues written for us. Special update: Shelley has officially earned the title of Doctor of Composition, congratulations to her! 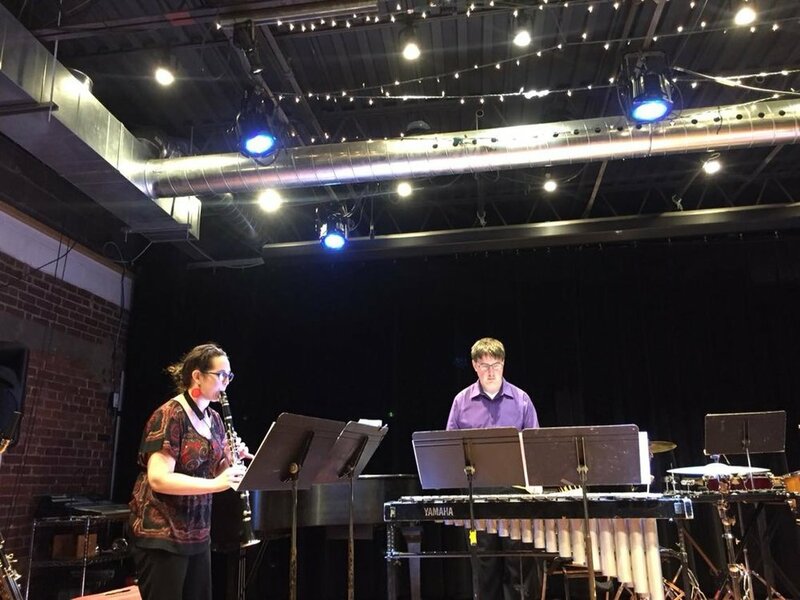 Early June we premiered Kendra Harder’s work Cat Fight at the Strata New Music Festival as well as some chamber works of Annette Brosin. Since then Kendra has been awarded the Mécénat Musica Prix 3 Femmes for her work The Book of Faces, congratulations Kendra. In June we took to the road and traveled to British Columbia to perform in three different venues in Langley, Victoria and Vancouver. It was a long trip but good to experience different venues and perform in new places in Canada. 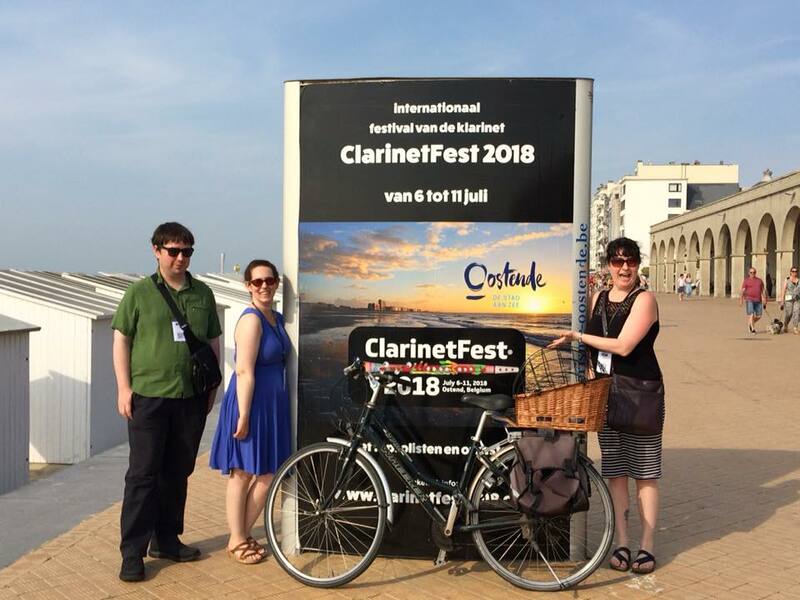 In July with Kendra and Shelley we ventured off to ClarinetFest 2018 in Belgium where we collectively had our international premieres. It was an awesome experience where we met many people from Canada as well as around the world. In August we relocated to Victoria, British Columbia. September brought us back to Ontario where we performed our Concert Far and Wide in Toronto as well as at the University of Waterloo. We were thrilled in December to perform a free improvisation session for Sofa Sessions Series. They have a new session every month featuring musicians from Victoria. A whirlwind of a year with a lot of great experiences. We are working on some wonderful projects in the new year. I hope you will join us for our next adventure.